To reach us by email: Please email both nurses for the general education clinic to maintain continuity of care as we job share. Email Patty for any ESE concerns. Medication, even over the counter medications, cannot be given at school without a medication authorization form completed. Download the appropriate form from this website under the “forms” section. EACH school year, new forms are required. See medication section for more detailed information. Fever over 100 degrees, diarrhea or vomiting in the past 24 hours, significant pain, repeated complaints or anything out of the ordinary, or is unable to participate in the normal routine and regular school day. If a child is sent home with a fever, they must be fever free without the aid of a fever reducing product such as Tylenol for 24 hours before they return. This means that they should not return the next day. The 24 hour period begins from the time they no longer have any fever. If your child has any serious conditions, please alert the teacher/clinic so we may work with you to keep your child healthy at school. 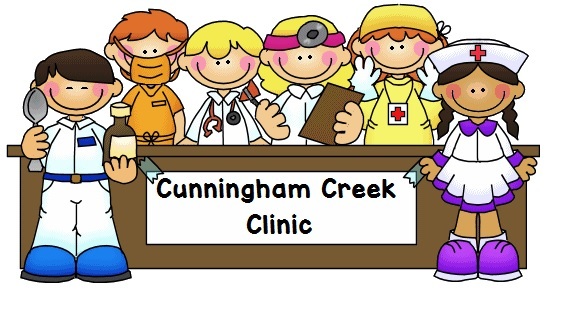 Every student with or treated for lice/nits must be cleared through the clinic to be readmitted to the classroom. All special celebration treats/food brought into CCE must be NUT FREE, store bought and with an ingredients label. No homemade treats are allowed. Treats brought into school must be pre-approved by the teacher and as always we encourage healthy snacks. Notify the front office for updates to your contact information. Please visit the other pages on this site. They contain information about health topics as well as links to medical forms.